Wat is dit voor site? Wij zoeken de goedkoopste boeken op internet. 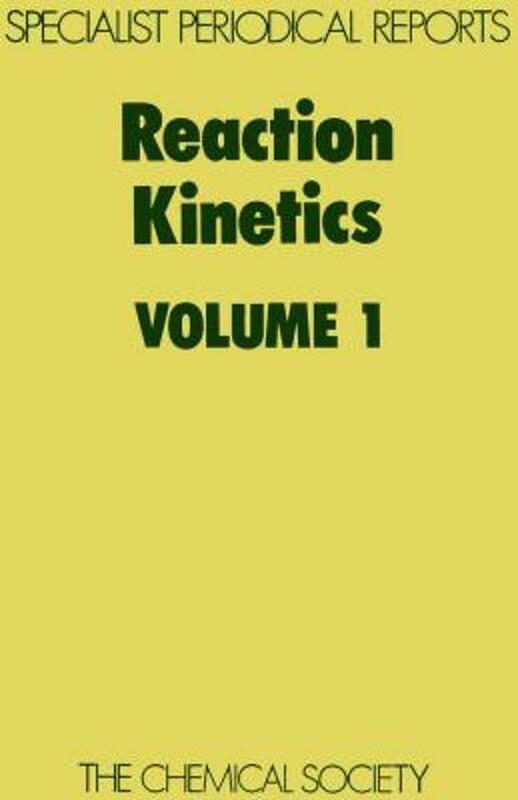 Reaction Kinetics Vol Ivonden we het goedkoopst op Bol.com voor €345.99. We hebben gezocht in nieuwe en tweedehands boeken. Rechtsonderaan de pagina kan je het boek direct bestellen	via Bol	.com. Specialist Periodical Reports provide systematic and detailed review coverage of progress in the major areas of chemical research. Written by experts in their specialist fields the series creates a unique service for the active research chemist, supplying regular critical in-depth accounts of progress in particular areas of chemistry. Fro over 90 years The Royal Society of chemistry and its predecessor, the Chemical Society, have been publishing reports charting developments in chemistry, which originally took the form of Annual Reports. However, by 1967 the whole spectrum of chemistry could no longer be contained within one volume and the series Specialist Periodical Reports was born. The Annual Reports themselves still existed but were divided into two, and subsequently three, volumes covering Inorganic, Organic, and Physical Chemistry. For more general coverage of the highlights in chemistry they remain a 'must'. Since that time the SPR series has altered according to the fluctuating degree of activity in various fields of chemistry. Some titles have remained unchanged, while others have altered their emphasis along with their titles; some have been combined under a new name whereas others have had to be discontinued. The current list of Specialist Periodical Reports can be seen on the inside flap of this volume.